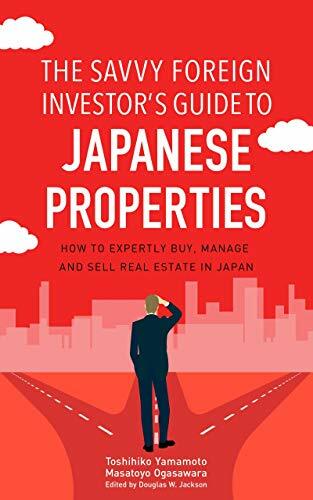 How do top investors, particularly global institutional investors, view the Japanese property market, and what are they basing their decisions on? A 2017 report from the Ministry of Land, Infrastructure Transport and Tourism (MLIT) provides a good overview. It’s a key source of information for overseas investors in particular, because the ministry asked around sixty institutional investors such as big commercial banks and investment banks what they think about the real estate investment market in Japan. They also compare the difference between Japan and the European, American and Asia markets, so this is excellent macro data. Investors clearly like the liquidity of Japan’s market, because real-estate investment is generally known for low liquidity, unlike the stock market, where you can buy stock and sell it moments later. So liquidity is highly desirable for investors because whenever the market is moving very sharply they have to get in as soon as possible. Buying real estate in Japan takes an average of one to two months and sometimes longer because of documentation, financing and registration changes. Another plus is that the real estate market here does not have any rogue regulations. In some developing countries, regulations and laws are routinely ignored, and bribery is also widespread. Investors like the Japanese market because they know the legal structures are solid on ownership and so on, and the people involved adhere to them because everyone prefers a stable market. Investors also like the well-established regulations and laws of Japan. A lot of Japanese investors are looking at the foreign market as well, because Japanese market growth is lower. They’re looking at countries like Vietnam or Thailand or Cambodia, those fast-growing developing countries.